Marko Pavlovic of Zagreb, Croatia is an industrial designer with a keen interest in educational toys for children. His goal is to create games that inspire and develop skills both tactile and mental. 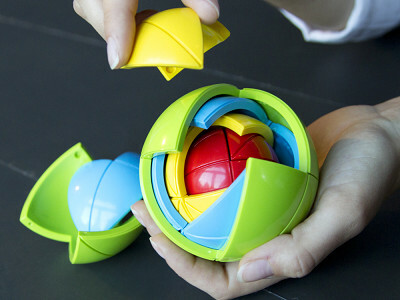 The multi-colored, 3-D spherical shaped Oblo is all that—a puzzling ball within a ball within a ball full of fun and fascination for the fingers and the brain. The first step is figuring out how to take this award-winning puzzle apart. But the real challenge is fitting the pieces and layers back together again. Each individual piece, 21 to be exact, has to be manipulated in just the right way so that it can be removed, then edged back into place. Intriguing and strangely addictive, one tester compared the Oblo to the Rubik's Cube—the main difference being that this puzzle is entirely possible to master without a manual or memorization. All it takes is a bit of patience and problem solving. 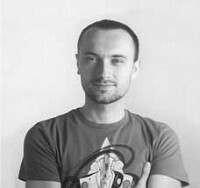 Marko Pavlovic of Zagreb, Croatia is an industrial designer with a keen interest in educational toys for children. His goal is to create games that inspire and develop skills both tactile and mental. 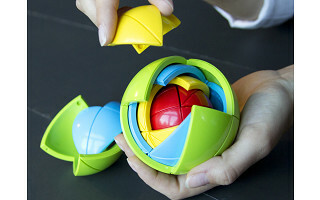 The multi-colored, 3-D spherical shaped Oblo is all that—a puzzling ball within a ball within a ball full of fun and fascination for the fingers and the brain. The first step is figuring out how to take this award-winning puzzle apart. But the real challenge is fitting the pieces and layers back together again. Each individual piece, 21 to be exact, has to be manipulated in just the right way so that it can be removed, then edged back into place.